There’s something in the water at the Rio Olympics. In fact, there are a lot of things — condoms, cans, shoes, diapers, plastic bags, rotaviruses, superbacteria, raw sewage and the occasional corpse. Best not to touch, smell or swallow. If you’re an Olympic sailor, best not to capsize. If you’re an Olympic open-water swimmer, best to have a cast-iron stomach. Guanabara Bay is spectacularly challenging and notoriously polluted. Sailors have a love-hate relationship with the venue of powerful currents, shifting breezes and hazardous levels of e coli. One lousy piece of debris that catches on a centerboard or wraps around a rudder can ruin a race. But a brave and selfless man — Fort Lauderdale’s Brad Funk — made it his mission to clean up the contaminated bay on behalf of his fellow sailors. It was a Sisyphean task — akin to one gardener irrigating the Sahara desert — but Funk tried. 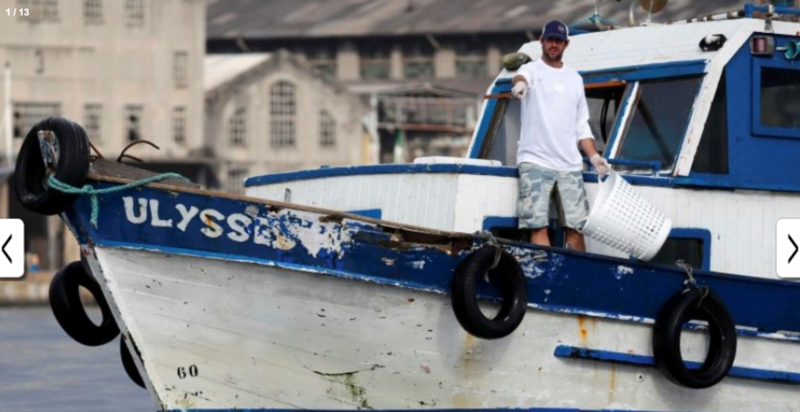 Wearing two pairs of gloves, wielding nets and baskets, Funk scooped nearly 800 pounds of junk out of the bay where his friends will compete starting Monday. Funk made his garbage-collecting forays on a boat named Ulysses. He did not encounter Cyclops or Circe. But he did have to navigate through a fetid stew of dead fish, floating furniture and submerged TVs. Read On here or talk about the continuing shitfest here.